Champagne production and cultivation is subject to some of the strictest rules in the AOC system: the approved grape varieties include the three most famous ones – Chardonnay, Pinot Noir and Pinot Meunier but four other grape varieties can be used: Pinot Blanc, Pinot Gris, Arbane and Petit Meslier. There are rules governing the pruning methods, the maximum permitted press yields and the law that the secondary fermentation must occur in bottle and the wine aged on the yeast lees for a minimum of 15 months for non-vintage Champagne and three years for vintage Champagne. These laws are understandable when one thinks of how many sparkling wines around the world have called themselves champagne and how the original appellation wants to protect the authenticity of its wines. Sparkling wines have been recorded in history throughout the world although Champagne was the first region to make sparkling wine on a regular basis. Contrary to popular legend, the monk Dom Pérignon did not discover Champagne but he did make some important contributions to its production. Champagne really came into its own when glass bottles were fabricated which withstood the pressure of the sparkling wine and when in 1844 Adolphe Jaquesson developed the wire muzzle to put over the corks to stop them popping out. From then onwards, Champagne became associated with royalty – the British court or the Tsars of Russia – although it was noticeably sweeter in the 19th century. It was the British who created the Brut Champagne designation in 1876. In 2007, Champagne sales hit an all time record of 338.7 million bottles. There are more than one hundred Champagne houses, the top ones belonging to an association called the Grandes Marques. Besides them, are 19,000 different growers, some of whom, just like 30 years ago in Burgundy, are beginning to leave the cooperatives and the big Champagne houses and sell their wines independently. The Grower Champagne movement is currently a major trend. 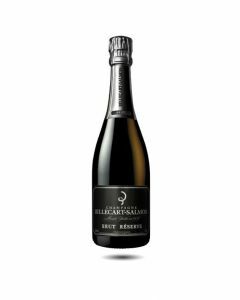 There are very few family-owned Champagne houses left; one of the last remaining is Billecart-Salmon. Several different styles of Champagne exist, the largest category being Brut Non Vintage. Prestige Cuvée is the top wine of a Champagne house and carries a proprietary name such as Cristal or Dom Pérignon. Blanc de Noirs is a Champagne made from the “black” grapes of Pinot Noir or Pinot Meunier. Blanc de Blancs is a Champagne made only from Chardonnay grapes. Rosé Champagne is made from blending still Pinot Noir wine to the cuvée or macerating the Pinot Noir grapes on their skins. Sweetness levels in Champagne vary but the different styles going from driest to sweetest are: Extra Brut, Brut, Extra Dry, Sec, Demi-Sec and Doux. Confusingly, the categories above Extra Dry are quite sweet, Sec having between 17 to 32 grams of residual sugar. Champagne is best served in tulip shaped glasses or even wine glasses. The Champagne coupe is not recommended as the bubbles disappear quickly in its shallow bowl. Champagne should be served chilled and be drunk soon after purchase (the exception here being vintage Champagne which according to the quality of the year can age well for a decade and beyond). Champagne is of course the ultimate celebration wine but it also pairs very well with salty dishes (such as smoked salmon or caviar), all sorts of terrines, pate and ham (such as pata negra or foie gras) and desserts. Created in 1955, this group of Epernay producers make wines from 75 hectares of vineyards. Cuvée de Réserve is a blend of three vintages and predominately made from black varieties. Refined and elegant with a lovely taste of toasty brioche, almonds and ripe fruits. 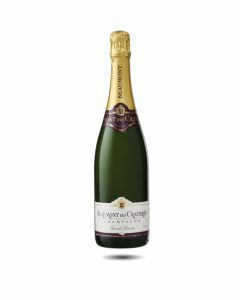 A little known Champagne at a very reasonable price, which often ranks above some of its more famous counterparts in blind tastings. Pale yellow colour with delicate rose tints, the nose is complex and austere with red fruits, spicy bready notes and plum fruits. Delicate, balanced and persistent. Considered to be the finest rosé in its class, it is round, complex and rich on the palate. A pretty salmon colour,with smokey, spice and fruity notes and a very fine persistence. One of our best-selling wines. 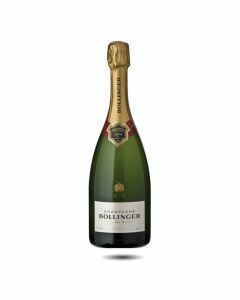 Bollinger's flagship cuvee is a blend of 60% Pinot Noir, 25% Chardonnay and 15% Pinot Meunier. 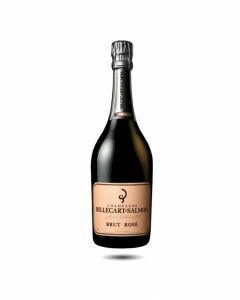 Aged in bottle on its fine lees for a minimum of three years prior to disgorgement, this Champagne has a magnificent aromatic intensity of brioche, pears and apple puree. It is a pure expression of the house style with its creamy, velvetly texture, dry and fairly austere finish and fine complexity and richness. A real classic to be drunk five years after purchase.